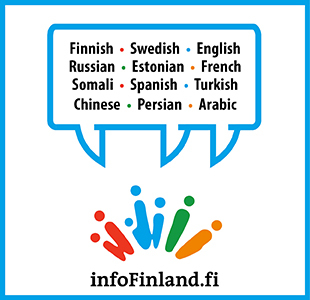 Personally I am very fond of learning about different cultures and languages, though I have not been able to learn Finnish language fully in these five years. I have an excuse to save myself, however – the Finnish language is one of the hardest languages on the planet Earth, but I can speak the Suomen kieli enough get me in trouble. I arrived in Finland in September 2009. I landed in Helsinki airport and was on my way to Tampere via train when, to my surprise, I thought I had entered a library room. It was pin drop silence; everyone is reading or listening to the music with their earphones. That is something pretty unusual for part of the world where I belong to. Normally in public transports you may get to listen to discussions on current affairs, weather, political situation and even some personal stories of people. In short we like to talk. It got even stranger when I noticed that Finnish babies travelling with their families are not crying either. Our moms would love to have such calm babies. But I must say that this was just the first impression I got of Finnish society, but once you make Finnish friends they are really friendly people and you can even find Finns who can talk more than you, especially when they are drunk. I got married three years after I came to Finland. My wife arrived here in June 2012. When we drove from Helsinki airport to Tampere she asked me "Is it a public holiday?" She said there are so few people that it looks like a strike or a holiday. Imagine someone coming from a place populated with more than 186 million people. So I would suggest Finns make more and more babies to avoid this situation in future. We have a phrase "honesty is the policy", which I have really observed in Finns. A year ago I got a news from somewhere that Finland has been ranked second among all the countries of the world in honesty. Being a Muslim I really appreciate it, since it is a key part of my religion. Honesty is one area in which Finns stand out more than others in my opinion. Of course drinking coffee and using alcohol cannot be neglected when we are talking about special qualities of Finns and no doubt Russians are standing side by side in this with Finns. One other tradition in which Finland is quite different from the rest of the world is drinking milk for lunch! Yes, really; milk. One of my Finnish colleagues who visited the United States for a business trip told me that he ordered lunch in a restaurant and asked for a glass of milk with lunch. The waitress came to him asked, "Sir! Is it right that you have ordered milk with lunch?" He said, yes. She kept on asking if she could bring tea with milk or coffee, or put some chocolate in it. She could not grasp the idea that he wanted a simple glass of milk to drink with lunch. I myself am now quite much Finnishified – apart from speaking the language which I hope to learn soon.